For a large version of the main illustration, click here. 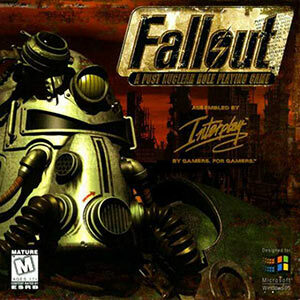 Fallout is a major video game RPG series about a post-apocalyptic alternate future. 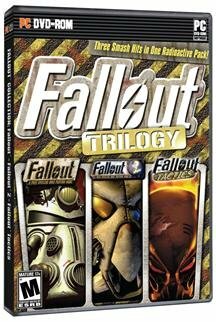 Though the first Fallout game was released in 1997 and is now very dated, it amply deserves a primer article. 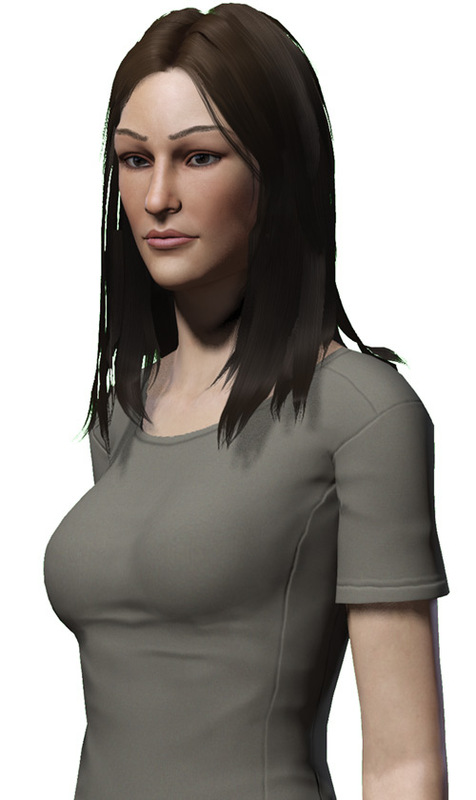 The protagonist of the game, the “Vault Dweller”, is an indeterminate figure with no past and no characterisation, and is implicitly male (though characters of both genders can be created). Our sample Vault Dweller is thus an original creation. Her entire past is made up for colour, but everything else (environment, plot, equipment, history of the world, etc.) is Fallout canon. Vault Dweller (Jolene Hassan) chapter 1 – to Junktown. Vault Dweller (Jolene Hassan) chapter 2 – roamer of the wasteland. Vault Dweller (Jolene Hassan) chapter 3 – against the Master. Known Relatives: Hicham Hassan (father, deceased), Krystyna Krawiec Hassan (mother, deceased). Base Of Operations: Mobile ; formerly Vault 13. Height: 5’1” Weight: 102 lbs. Though she’s a sheltered technician in her mid-20s, Jolene demonstrated some remarkable talents. Her manual dexterity and hand-eye coordination are amazing, and her reflexes excellent. Though these assets were chiefly used in the Vault to repair and maintain small mechanisms, they make her a natural with firearms. Once she started having to shoot at animals and people, she made lightning-fast progress. The Vault Dweller operates her gun with impressive accuracy, speed and stability. 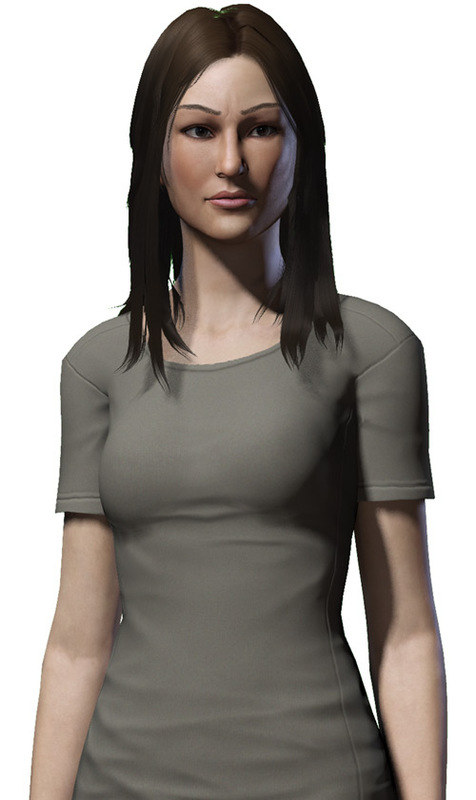 Albeit she’s tiny (less than 1.55m and with a slim physique) and looks a bit dorky, the Vault Dweller has a curiously husky and memorable voice. Her strange, one-person accent always comes across as exotic. This is pretty good for getting and holding attention, and she’s smart enough to put this attention to good use. The Vault Dweller is at this point usually armed with a Colt Rangemaster. This is a .223 light semi-automatic rifle, intended for hunting. It is presumably comparable to a modern AR-15. Such weapons are nothing compared to military weapons that exist in the Fallout world. But by the standards of what exists in the everyday world of post-apocalyptic California it’s pretty damn good. 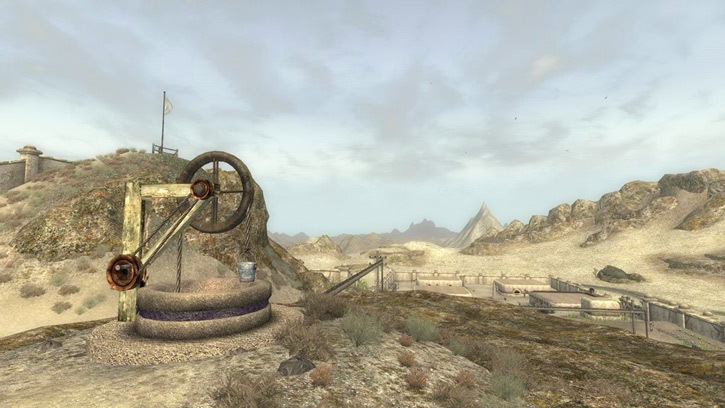 For more discussion about weapons in Fallout games, see, well, our article about weapons in Fallout games. Though this rifle was found in a dark, dank corner of Vault 15 it was meticulously dried and cleaned. Though it has no scope it sports a salvaged Savage aperture sight allows for precision shooting. A greased strip of fabric is wrapped around selected areas of the gun to prevent the weakest parts from corroding. The memorable intro videos to the 1997 Fallout game. The world of Fallout starts diverging from actual Earth history after the second World War. Due to slightly different laws of physics, micro-electronics do not develop like they did on Earth. Thus, technology keeps a distinctive bulky, 1940s/1950s aspect even into the mid-XXIst century. Perhaps because of the subsequent differences in the development of television and personal computers, American culture and aesthetics seemingly froze circa 1957. They stalled in the era of chrome-laden and tail-finned cars. While this doesn’t genuinely slow down technological progress, the look and feel of Fallout technology is different and dated. Society also appears to have remained stuck in the late 1950s. By the mid-XXIst century, developed nations on the Fallout Earth are experimenting with what is future tech by real-world 2010s standard. This includes small-scale fusion power, prototype energy weaponry, genetic engineering and the like. Plus robots whose “CPU” is actually a preserved human brain situated in the mandatory transparent dome. After decades of tension, in 2050 the world explodes into resource wars as fossil fuels and other vital resources became increasingly rare. Two key belligerents are the US and China. After China invades Alaska, the two callously ravage Canada as the front moves back and forth. The US eventually gain the upper hand thanks to innovations such as clunky but mighty power armour for infantry. Cars can be an excellent summary of a societal aesthetics. 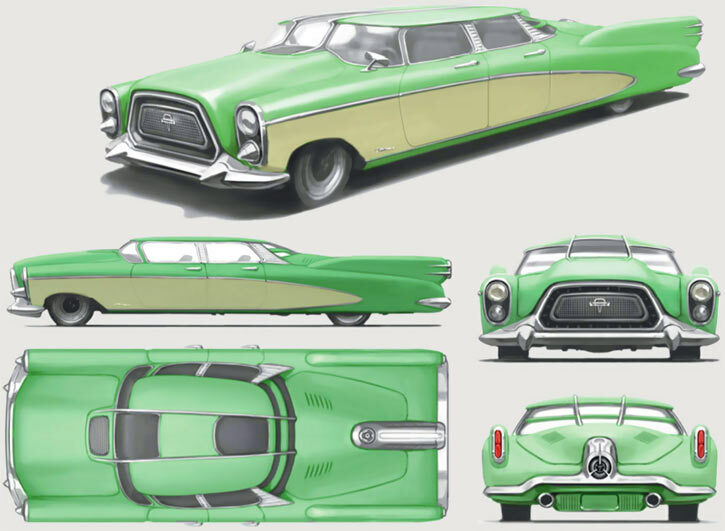 Here is the Chrylus Corvega (Fallout 4 concept art), which is the emblematic pre-war American car in the Fallout setting. The bulk and flat/boxy surfaces, as there is no concept of fuel economy. The car is propelled by an atomic engine. The mix of 1950s American car curves and 1960s American car edges (like the fins on the back), though it remains mostly 1950s-ish. The lack of design evolutions that, in the real world, were associated with women purchasing cars. The Fallout society remained patriarchal. Most cars also seem to assume 3+ children. That the design imperative is looking big, ostentatious and impressive rather than having decent handling characteristics. Such as having a turning radius that doesn’t evoke a boat, or being able to park in anything smaller than a football field. As the probability of a nuclear exchange mounts during the XXIst century, various projects are launched. In the US, the main one was Project Safehouse. It was run by Vault-Tec, a private corporation with deep ties with the government. Vault-tec built 122 Vaults throughout the US. Each is a subterranean base capable of housing several hundred persons for decades or even centuries without any outside resources. Vaults have a very 1950s science-fiction feel, with big honkin’ computers with large arrays of flashing diodes, shiny metal walls, and hard-working jumpsuit-wearing inhabitants. Project Safehouse was never actually intended to save anyone. Their population are actually Guinea pigs in 122 callous experiments to improve the lot of the actually important people — the corporate and governmental elite saved by the real Safehouse project. This is not known by the first game – albeit in retrospect some bits of information become hints about the real nature of the Vaults. 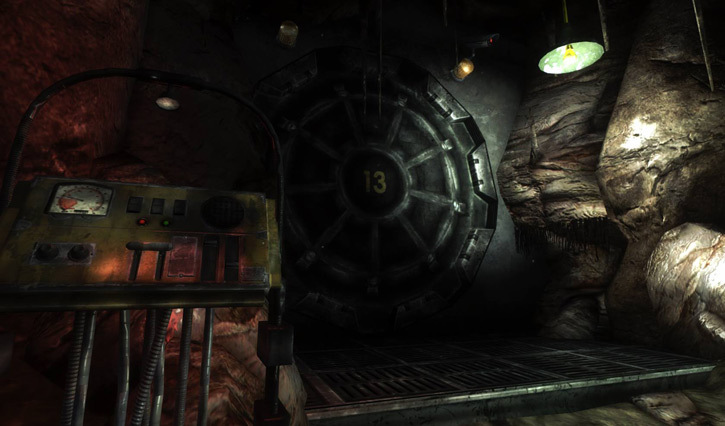 Vault 13 was the last one built on the West Coast of the USA. Reportedly excavated within Mount Whitney, it was finalised in 2069. In 2077, nuclear devastation came. Unlike with many other Vaults, things went right for Vault 13 – the inhabitants did respond to the air raid sirens and reached the Vault in time, and the nukes left Vault 13 unscathed. Much of the Earth’s surface was ravaged by the shockwaves, radiation and firestorms. This left but a small fraction of humanity alive. Most of the damage came from the later fallout, however – chiefly toxic and irradiated rain. Though there was no great nuclear winter, animal and vegetal life became but a shadow of what it once was. The planet is generally a wasteland. 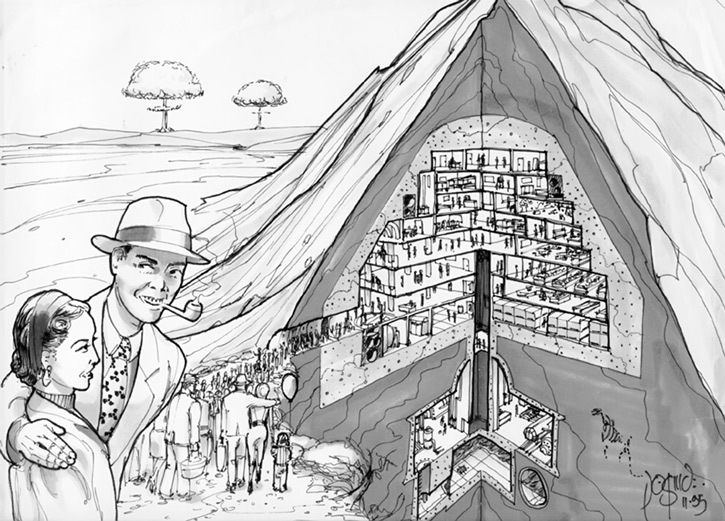 1995 concept art for Fallout 1, showing a cutaway view of a Vault. The Southern California of the 2160s is thus a harsh, deadly milieu. It is reminiscent of classic post-apocalyptic fiction – say, Mad Max with a large but controlled splash of Gamma World and a dose of 1950s Atomic Horror (think Them!). It is arid and barren, most of the survivors living with sparse resources in tiny villages. A few crops can still be grown, and two-headed cows and bison are a critical source of meat, milk, leather, tendons, etc.. These mutants can survive the environment and live with incredibly little food. Raiders are a constant threat, as are various species of mutated animals such as the venomous and gigantic radscorpions – or even graver threats such as super-mutants or deathclaws. Transportation is achieved mostly via trekking, and oxen-drawn carts for bulky goods. There are next to no riding animals or working vehicles. The radscorpions, the two-headed bisons and other impossible animals aren’t solely a product of radioactivity. This is true even though Fallout uses a 1950s atomic horror movie understanding of radiation. They’re also the result of the Forced Evolutionary Virus, a super-science bioengineering process developed during the war by the West Tek corporation. The FEV was originally designed to provide immunity against a wide variety of bacteriological weapons China might employ against US troops and populations. Its impossible mutagenic effects were not the intended result. But once it was discovered the project switched to developing biological weapons – war beasts and inhumanly altered super-soldiers. A military mutiny against the horrific project, then a Chinese nuclear strike on the West Tek facility during the nuclear war, put an end to this but spread the virus in the wilds. From the first Fallout game, one gets the impression that the setting is generally low-powered. Most people are just folks trying to survive without particular talents or training. Hero Points seem to be low (dying to one stray critical hit is easy for anyone). The Vault Dweller operates at a more cinematic level, though a good part of their edge comes from procuring better equipment. The stats in our article about Fallout 1 companions are examples of what we estimate to be common levels for adventurous types. The stats for the creatures assume an opposition with, in DC Heroes RPG terms a AV of 3 or 4, a maximum EV of 6 and very few Hero Points (5 at best). With these numbers, creatures with a solid DEX and BODY (such as Deathclaws) take an enormous volume of fire to kill barring a huge double (aim for the eyes !). Landscape from the Fallout 1 The Story mod . With its kitchen sink nature, the Fallout universe includes paranormal elements beyond the fantasy radiation and viruses. For instance, the first game clearly shows psionic powers at work, with the Master and the four psychic mutants in Los Angeles. Likewise, the second game includes two ghosts and shamanistic magic to banish ghosts, obtain cryptic information from spirits, and send dreams to a specific person across large distances. However, Occam’s Razor suggests that shamanistic magic might be psychic powers interpreted in an animistic cultural context. These paranormal elements are neither common nor accessible to player characters. Furthermore, they are hinted but not stated to be the result of fantasy mutation. DC Heroes stats for the Fallout and Fallout 2 characters are generally going to be lower than similar characters might have in the next-generation Fallout 3 and Fallout: New Vegas games. This reflects the harsher, less cinematic Genre of the earlier games. Hit Points were much lower for FO1/2 characters. A character with average stats would only have ~30 HPs to start and ~110 at level 18, which was close to the highest level that could reasonably be obtained. By comparison a FO3/NV character with average stats would start with ~200 HPs, have ~300 by level 20 and still be able to get another 10 to 30 levels. Critical hits are much more unforgiving in the earlier games. A FO3/NV character with high HPs and good armor could frequently survive even a mini-nuke hit (though there would be severe injuries). Whereas a FO1/2 character with maxed out HPs and the best possible armor might still be one-shotted by a single critical hit from a “lowly” gatling machinegun. Enemy scaling was also largely non-existent in the earlier games. While FO3/NV adjusts enemies based on the player’s level, FO1/2’s enemies are just as powerful if one meets them at level 2 as they are if one is level 22. While the storylines in FO1 & 2 were meant to guide players into successively more difficult encounters, it was entirely possible to take divergent paths and subsequently encounter enemies far above one’s level (though New Vegas also does this at the start to some extent). Furthermore, some enemies were virtually impossible to defeat in combat no matter how advanced and well-equipped the player and his companions were. Vault 13 was meant to stay shut no matter what for 200 years. But in 2161, a key electronic board of the water purification system broke. And there were no spare parts left to replace and repair it. Though the Vault could endure for several more months, it was condemned if the water system “chip” couldn’t be replaced. Which meant finding spare parts outside. At least two persons were chosen one after the other by the Vault’s Overseer to go outside. The first man was killed (presumably by giant rats, who only left a skeleton and a few items) before he could even leave the caves leading to Vault 13’s door. The second simply never came back. Then came a third person. 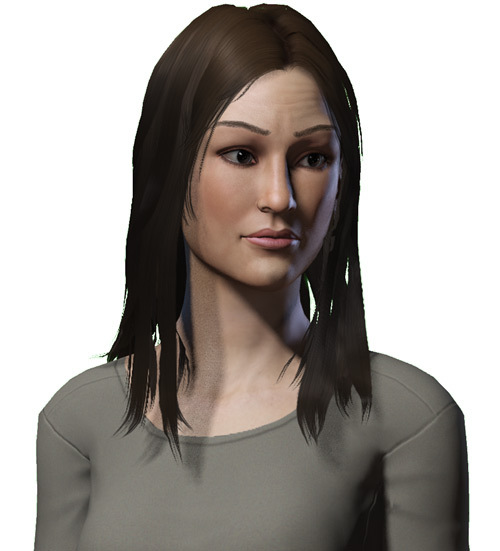 Jolene Hassan is part of the small minority within Vault 13 that is not entirely of European descent. Her great-grandfather was an Egyptian man granted political asylum. Though there was no overt discrimination, these folks tended to get the more fatiguing assignments. Furthermore, the medical care they were given had a markedly higher rate of failure. Over nearly a century these not-quite-secret policies successfully reduced the non-European demographics. Jolene is probably the last. She wouldn’t have even been born hadn’t her mother, from a Polish-American family, married in defiance of her parents’ wishes. Fallout 1 concept art. 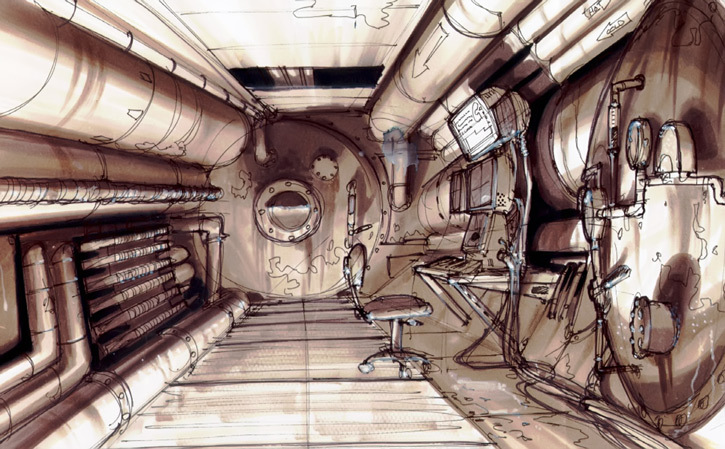 This shows a typical maintenance space within a Vault, very similar to where Jolene Hassan spent much of her working life. Young Jolene demonstrated significant technical aptitude. Rather than waste, that the Overseer of Vault 13 assigned her to the maintenance of the humid, smelly water recycling and circulation system. Her manual dexterity, small size (to fit the maintenance crawlspaces) and intelligence made her a major asset in making Vault 13 run smoothly. Ms. Hassan was expected to die single and childless in her 50s due to social ostracism. When the water control chip broke, Hassan expected to be blamed. Yet she was generally ignored in the general anxiety. She heard that other vault dwellers were sent out and didn’t come back, and assumed that her turn would soon come. She was correct. The Overseer did approach her and send her out with the lightest weapon in the Vault’s small weapons locker (a 10mm pistol) and a single box of ammunition. At this point, there were but 150 days left until the drinkable water reserves were exhausted. As it turned out, Jolene proved remarkably resourceful. She quickly oriented herself in the wilderness. She learned the basics of her new milieu from the inhabitants of the nearby hamlet of Shady Sands . However, her priority was to reach Vault 15 , to the East of Vault 13 and Shady Sands, to request spare parts. As it turned out Vault 15 laid in ruins. Most of the complex was buried under thousands of tons of rocks. Jolene picked clean every last scrap of loot, including a providential hunting rifle and enough material to assemble a crude leather armour. But otherwise, Vault 15 was a dead end. From what she could piece together the Vault 15 population had come to a disagreement and split into several communities. The minority who stayed within the Vault were chased off by powerful invaders and either founded or joined Shady Sands. Now fairly well-armed, she returned to Shady Sands. There, she put an end to a radscorpions nest preying on the cattle. In return, Shady Sands locals gave her detailed directions and what information they could about larger settlements in the South, which had merchants and markets that might sell salvaged spare parts. Unlike most, Jolene had the knowledge to assemble a new water chip and recognise appropriate spare parts. The Vault Dweller reached Junktown . 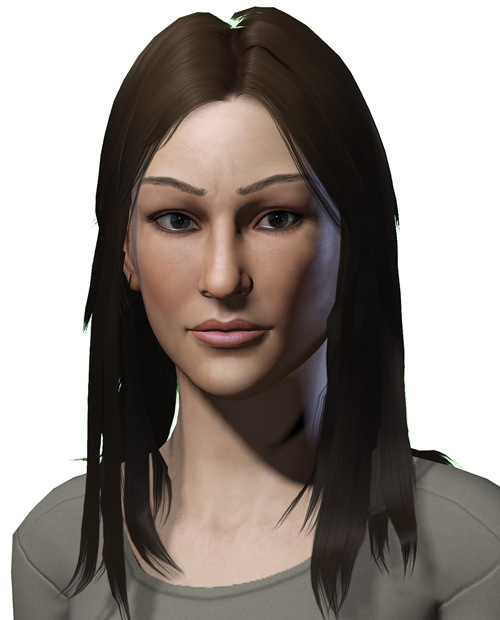 Though the merchants there didn’t have the sort of parts she was looking for, Jolene Hassan had developed a feel for the mix of barter and currency (old metallic bottle caps) used in the surface world. As a consequence, she decided to work for the mayor of Junktown for a few days. Salvaged parts seemed expensive. Finding some on a market would do no good if she didn’t have a lot of caps and useful loot to barter with. The situation in Junktown was tense, however. And the gangs causing trouble were well-armed. Still, the mayor seemed helpful and had the means to pay – and Jolene found an unexpected ally when a rather large and ferocious dog spontaneously adopted her. Jolene Hassan is tiny ; furthermore she’s not very big. Her skin tone is slightly dusky – in a way that no person living on the sun-scorched surface would ever notice, but which stands out among the pale Vault inhabitants who never see the light of the day. Originally she wears a rather conspicuous Vault 13 jumpsuit – yellow and blue with a huge “13” on the back. 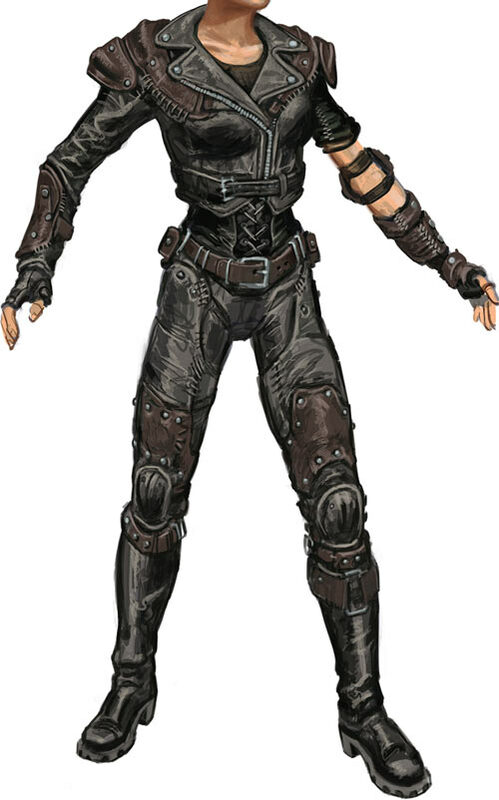 This is later abandoned in favour of a more protective black leather ensemble (with a missing sleeve making it very reminiscent of a famous post-apocalyptic movie character), and eventually actual leather armour patterned after a gridiron football armour. Her Rangemaster is usually held by a patrol sling, but gets slung on her back when she’s in a village. Early on Hassan must protect her eyes from the fierce glare of the Californian sun in the desert and without an ozone layer, but she soon adapts. Howbeit she keeps wearing sunglasses, as even people born on the surface find life much more comfortable with a pair of shades. The photograph features, and belongs to, Archaical . Costume by Icanriansfeather . It was reproduced with authorisation. It is a good reconstruction of the jumpsuit, PIP Boy and accessories – which is welcome since Fallout uses very low-resolution, very old sprites that are useless for illustration purposes. That the young lady has the right general appearance for the concept of this sample Vault Dweller is pure, blind luck. Jolene has been something of an outcast most of her life. Thus, despite having lived the sheltered life of a Vault 13 dweller she is thus used to only rely on herself and her superior capacities. She is careful and canny. She learns and adapts extraordinarily quickly since she’s not really steeped in a given culture or manner of doing things. She has ample practice in being ostentatiously helpful in the hope of getting some favours back. As it turns out, this actually works better in the wasteland than in Vault 13. She’s a Muslim of indifferent seriousness, often skipping prayer and knowing but a handful of sutras by heart. Still, she will avoid contact with haram stuff (having a dog is OK since several hadiths make exceptions for hunting dogs), give to the poor, support her neighbours (or rather the towns she’s passing through in her quest) and generally be polite, virtuous and helpful. Her Quran is in English, since she knows essentially no Arabic. Her vague efforts to wear a headscarf never went anywhere, least of all on her noggin. The post-apocalyptic future of Fallout could generally fit in the aftermath of the pre-Crisis Great Disaster, albeit well before the time of Kamandi. It is easily compatible with the continuity of, say, the Atomic Knights or even Hercules Unbound, being a bit gonzo but not over-the-top and featuring energy weapons. 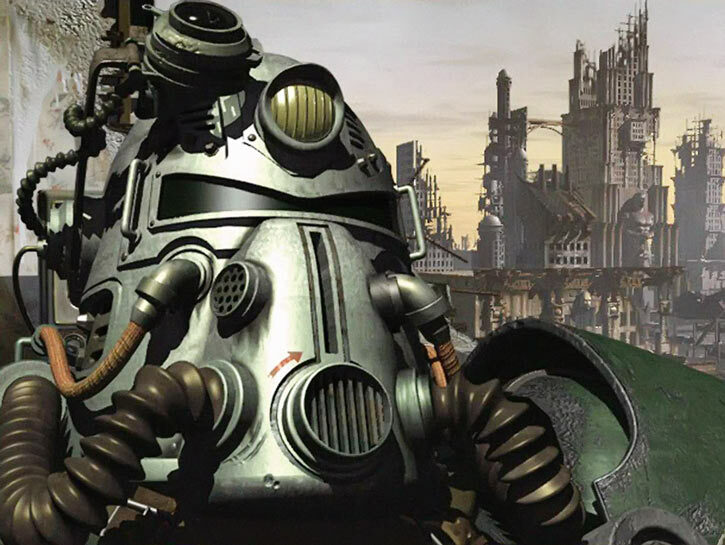 Fallout also uses many 1950s pop tropes (giant atomic insects, robots driven by a human brain in a transparent dome, lasers, etc.) that go well with these vintage post-apocalyptic comics. More generally, though Fallout does have a number of distinctive elements (such as the boy mascot character of Vault Tech, the satire of 1950s “duck and cover” propaganda and societal callousness, etc.) it is primarily an occasion to have an adventure in a wasteland-and-mutants post-apocalyptic milieu rather than an attempt at creating a highly original world. As such, it meshes quite well with traditional post-apocalyptic environments. Superspeed only for Mental Tasks, only for acquiring new skills and knowledge. It is a Skilled Power. Expertise (Vault-Tec life support systems), Familiarity (Arid environments survival, Quran), Language (Very basic Polish), Lightning Reflexes, Pet (Dogmeat – see the Fallout Companions article.). Misc. : the Vault Dweller knows very little about the wider world. 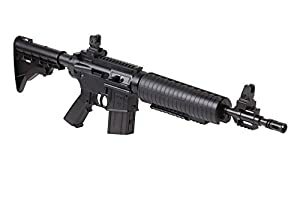 Colt Rangemaster .223 semi-auto rifle [BODY 03, Projectile weapons: 06, Ammo: 10, Telescopic vision: 01, R#03, Limitation: Telescopic vision only for shooting purposes, as it represents the iron sights], two extra magazines and as many spare bullets as can be humanly scrounged. Offensive Grenade [BODY 01, EV 07 (Area of Effect 1 AP), R#03, Grenade drawback]. Leather armour [BODY 05, Skin armour: 01, Limitation: Partial (long coat level)]. Stimpacks (x10) [BODY 01, Damage Transference (No Delay, No Damage Taken): 02, Grenade Drawback, Limitation: the user must have 4+ APs of Medicine (First Aid). If that’s not the case, the APs of Damage Transference are halved]. PIP-Boy 2000 handheld computer in a forearm sheath [BODY 02, Data storage: 09, Military science (Cartography): 02, Medicine (Treatment): 03 (Limitation – Medicine is limited to simple diagnoses)]. The optional rules about distance penalties, using the Real Genre, are assumed to be in effect. As it turns out, my build is close to a widespread optimised character build (Small Guns, Speech and Lockpick tagged ; Gifted as a Perk (and Small Frame as the second perk)) so it makes for representative stats for the Vault Dweller. Though that one was a coincidence, our sample Fallout player characters normally stick to well trod, effective Fallout builds. The assumption is that it is what people have likely been playing, and that it thus matches their mental representation of the stock Fallout Player Character. The S.P.E.C.I.A.L. system can indeed be… special. But in the case of Fallout 1 and this in-video-game character build, the video game logic is tolerable. Jolene Hassan is written up as having a number of knacks, personality traits and background elements that make her peregrinations in the wasteland, her skills, her decisions, etc. make sense. The Superspeed Skilled Power handles the main remaining of video game logic that chafes. Namely, the incredible speed at which a Player Character in the S.P.E.C.I.A.L. system can develop a vast array of skills. Quickness 1 (Limited 2 to learning new skills and knowledge). 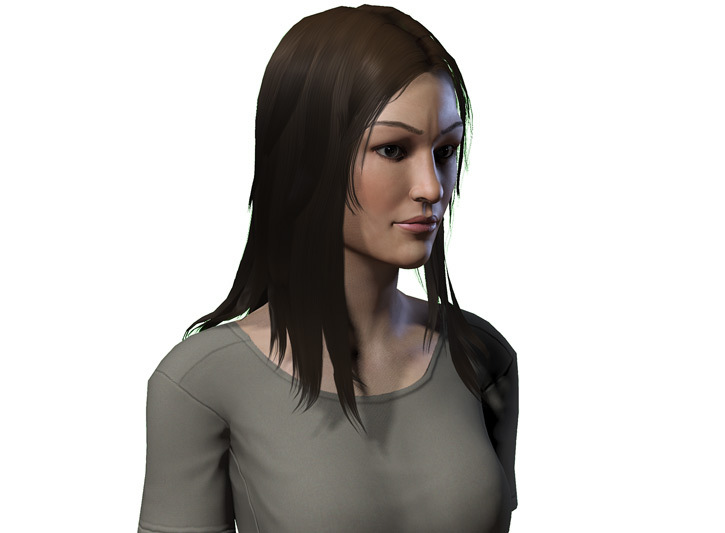 – Personal digital assistant — Feature 1 (Computer). Defensive Roll 1, Improved critical (Firearms) 1, Improved Initiative, Power Attack, Ranged Attack 3. Benefit 1 (Dogmeat), Equipment 6, Language (Very basic Polish). Athletics 1 (+0), Deception 1 (+2), Expertise (General science) 3 (+5), Expertise (Vault-Tec life support systems) 6 (+8), Expertise (Islamic theology) 2 (+4), Expertise (Arid environment survival) 2 (+4), Insight 4 (+5), Perception 3 (+4), Persuasion 3 (+4), Ranged combat (Firearms) 6 (+11), Technology 4 (+6) (Limited 1 to Operating, Repair, Security). Colt Rangemaster Ranged ballistic Damage 5 ● 10 points. Offensive grenade Burst-Area explosive Damage 6 (Limited 2 – *one* grenade) ● 6 points. Leather armour Protection 1 ● 1 point. Stimpacks Healing 2, plus Healing 4 (Treatment check required), Stabilise ● 9 point (Quirk – stimpacks always Take 10 for their Healing). Four points left in the pool for odds and ends. Sheltered The Vault Dweller comes from a Vault (amazing !) and thus doesn’t know much about the surface world. Responsibility Jolene feels responsible for the safety of Vault 13 even though they keep treating her like a bad smell. Petite Ms. Hassan barely inches past 100 lbs, and she isn’t going to reach the top shelf of anything either. Black on stimpacks The Dweller has about 10 stimpacks at this point, and might run out if a situation really goes pear-shaped. Black on ammo Early on running out of ammunition was a genuine problem, but in practice the Vault Dweller soon ensures sufficient supplies to keep her guns fed. Trade-off areas. Attack/Effect PL 8, Dodge/Toughness PL 4, Parry/Toughness PL 2, Fort/Will PL 3. Points total 59. Abilities 16, Defences 8, Skills 17, Powers 1, Devices 2, Advantages 15. Equiv. PL 4. Much as we all love Dogmeat, I wouldn’t count him as a Sidekick. If he had a Rin Tin Tin or Lassie-level intelligence yes, but he’s a bit closer to Ran Tan Plan… Counting Dogmeat as a 1-point Benefit acknowledges the dog as an asset (especially since it spontaneously sides with the Vault Dweller), the equivalent of 5 points of Equipment. And yes, this corresponds to the stage where she’s been pumping everything into her tagged Small Guns skill (hence the outsize attack bonus). The trade-offs make it clear just how critical to her survival this emphasis — and finding that Rangemaster in Vault 15’s ruins — is. Source of Character: Fallout (1997 video game). Helper(s): Roy Cowan, Darci, Dr. Peter Piispanen. Writeup completed on the 6th of February, 2013. Cosplay by Archaical and Icariansfeather – see the Description section for more. Leather armour worn by the female Vault Dweller. Fallout concept art by Adam Adamowicz .